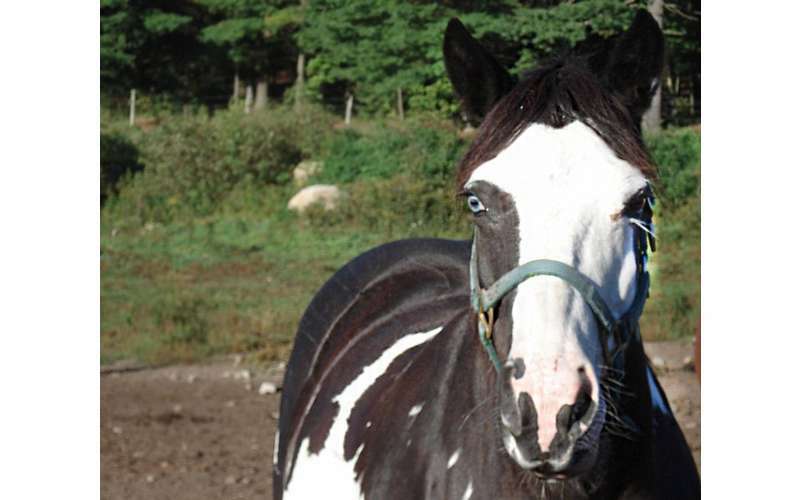 Enjoy horseback riding year round in the beautiful Adirondacks at Bennett's Riding Stable! Our popular sunset dinner rides and trail rides allow you to enjoy a horseback ride to the top of Beech Mountain in Lake Luzerne, NY. Junior Rides - First-timers will enjoy a 10-minute ride to start off your horseback riding experience. 1/2 Hour & Hourly Trail Rides - Take a relaxing horseback ride for a short 1/2 hour or an hour. It's an amazing opportunity to see the sights and view the surrounding wildlife. "Good Mornin" Breakfast Rides - Book your spot on this Adirondack adventure! The Breakfast Ride includes a horseback ride to a special place in the Adirondacks and includes an outdoor breakfast, photo opportunities, and memories to last a lifetime. Prior reservations are required. 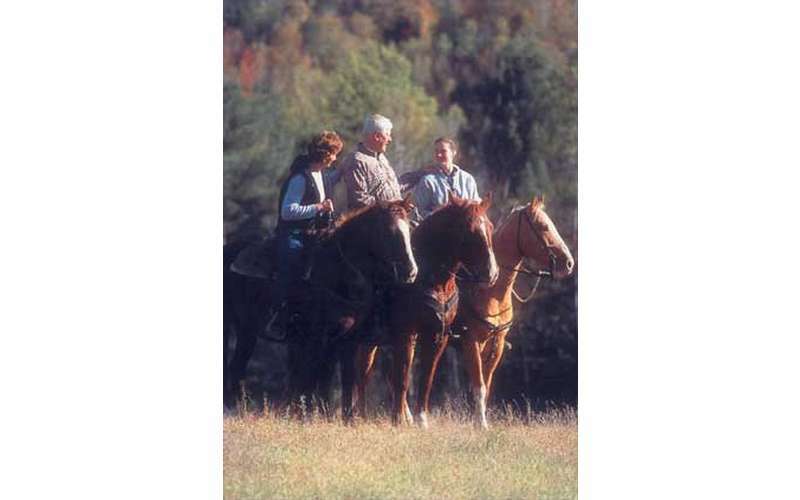 Sunset Dinner Rides - Enjoy a two-hour guided horseback ride to the top of Beech Mountain where you will dine and enjoy a spectacular view of the area. Available from Memorial Day through Labor Day, and reservations are required. Horseback riding is for ages 7 and up, and junior rides are for the younger set. Longer rides must be reserved prior to your vacation to ensure availability! Reservations are not required for one hour or shorter rides. Bennett's is just five miles from Lake George exit 21 on Route 9N South. During winter, they also offer snowmobile tours! Call (518) 696-4444 for more info and pricing! We went to Bennett's riding stables with my family, sadly the horses are in very poor health condition. One of the horse had such a severe eye infection that she couldn't keep that eye open! Its dangerous to go on the trail with that horse. When I asked about the horse's eye they said that it was a "birthmark" When the group came back my 12 year old daughter's horse after stopping for A few minutes on the trail not wanting to move just collapsed. Imagine that horse collapsing on the trail with my daughter riding her. Think twice before you sit of one of those horses. My family and I had the pleasure of participating in a two hour ride up the mountain. The owner was very accommodating with regard to setting up our ride and the staff was excellent at providing the appropriate horse for the experience of each rider. Our guide, "OC" was excellent. He was personable, provided helpful tips to manage each horse and easily engaged our college age children in conversation. I would highly recommend this business, if you are looking for horseback riding in the Lake George area. This is more of a memory but I guess to a review. ? ?.Used to stay at Tony and Alfs not too far from you in Lake Luzern many years ago it was our family vacation spot for many years we went every year two weeks in August. Remember the ? ?horse that was their name taffy great memories???? An absolute pleasure and I greatly recommend it even for the experienced rider.